Use our resources to learn about the East Africa Crisis, pray and fundraise. 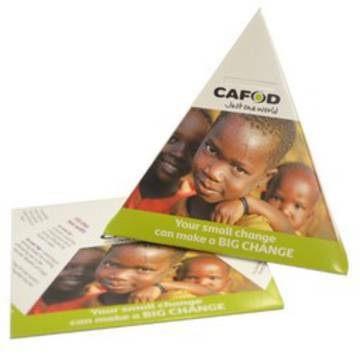 Resources to help young people fundraise for the East Africa Crisis Appeal. 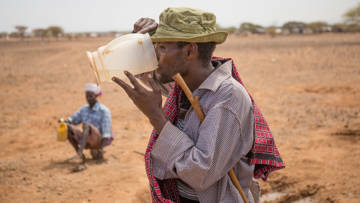 Over 16 million people across South Sudan, Somalia, Ethiopia and Kenya are affected by severe drought and in urgent need of food. Help us provide vital support to communities affected by the crisis in East Africa. Can't use Youtube? Click here to save the video to your desktop. Use these materials to help young people learn more, pray and fundraise for the people of East Africa. Use our poster for fundraising and download the donation form. Pray for our brothers and sisters affected by Cyclone Idai. Use this poster at your fundraising event. Please send us this donation form with any donations for Cyclone Idai. Prayer for those affected by the earthquake and tsunami in Indonesia. Please use this prayer to encourage young people to pray for those affected by the hunger crisis in East Africa. Use this assembly to encourage young people to pray and fundraise to help the people of East Africa. Quick game introducing key poverty statistics. Great introduction to exploring the Sustainable Development Goals (SDGs). Hour-long session in which pupils explore some of the difficulties in peace-building, based on Gaza. Includes teacher notes with role cards, as well as a PowerPoint. Suitable for GCSE RE, Peace and Conflict. Could be used with an able KS3 class as part of a Pilgrimage topic. Films about CAFOD's emergency work in the Philippines, Syria and Haiti, to support work around emergencies. TV and radio presenter and CAFOD ambassador Dermot O’Leary narrates this film for young people about emergencies, as part of the set of resources exploring how CAFOD responds when an emergency hits. Can't see the YouTube film? Right click here to download to your desktop. Tools and tips to help you fundraise at school. School resources for the World Cup to explore poverty and justice through the lens of sport.